Royal Chundu aspires to be a true celebration of Zambia. 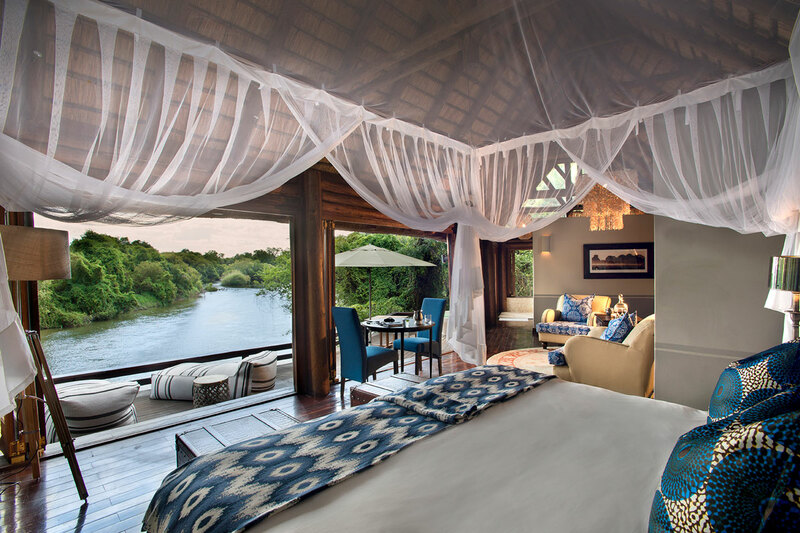 They do this through the incredible Royal Chundu family, who form the essence of the brand and lodge, and welcome their guests home. 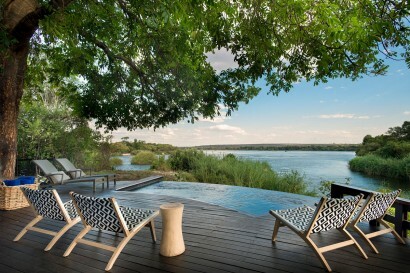 Drawing on its rich past and the family’s connection with the land, Royal Chundu is able to offer a unique luxury experience, as well as build towards an exciting future. The Royal Chundu Foundation focuses on education efforts in an attempt to enable, uplift and empower future generations in the community. They are helping to change lives. 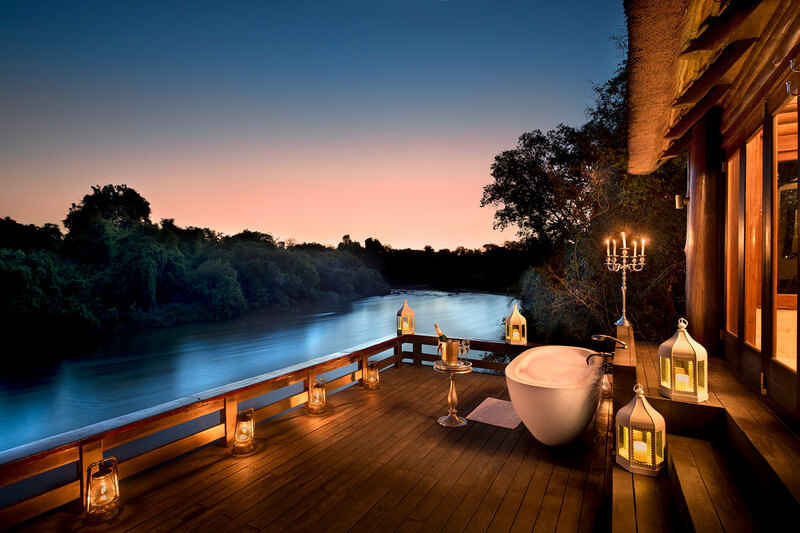 Royal Chundu is the first and only Relais and Châteaux establishment in Zambia and the entire Victoria Falls area and has been voted the World Travel Awards’ Best Safari Lodge in Zambia for four years in a row. We aim to deliver the finest Zambian experience available – one that is private, authentic and luxurious -while contributing to and uplifting the local communities and creating unique memories for guests that will last a lifetime. 15kms of private river frontage. Entirely locally owned and managed. Fresh food sourced from within 4 kms – making menus local and seasonal. 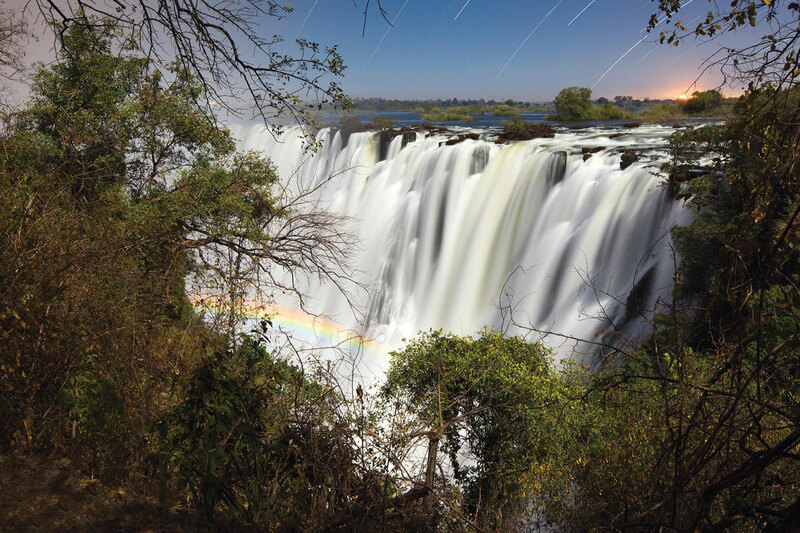 Royal Chundu, a haven of quiet solitude and untouched beauty, is situated on the banks of the mighty Zambezi River just upstream from the magnificent Victoria Falls on a 15 km stretch of private waterway, protected by two sets of rapids. As the first Relais & Châteaux property in Zambia, Royal Chundu offers the perfect romantic escape or a unique fun-filled family holiday. Activities are tailormade to create personal guest experiences suited to couples or groups alike and are focused on family, romance, adventure, wildlife, birding, culture and fishing. 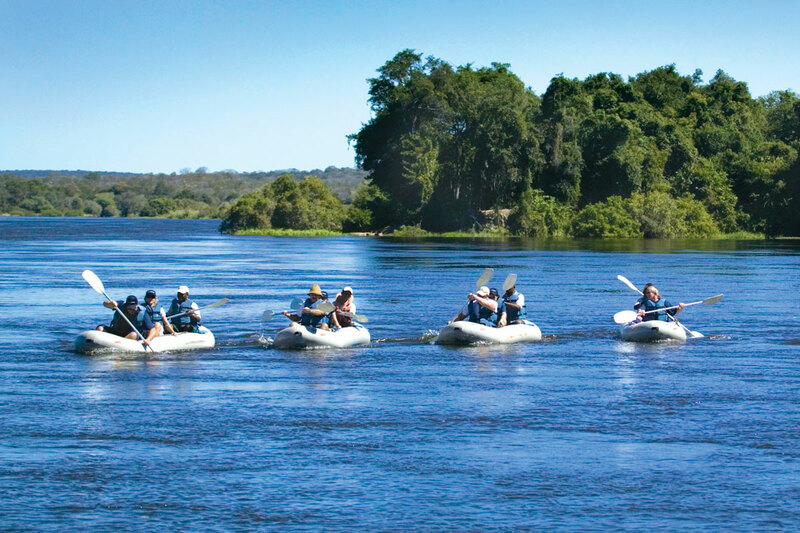 From tranquil to thrilling, Royal Chundu o ers a Zambezi river adventure to satisfy all. Whether you choose to simply lounge around the comfort of the lodge or want to explore more of what Zambia has to o er, our activities team is ready to arrange the perfect day for you. Cruise down the beauty of the Zambezi as the sun sets in the African sky. 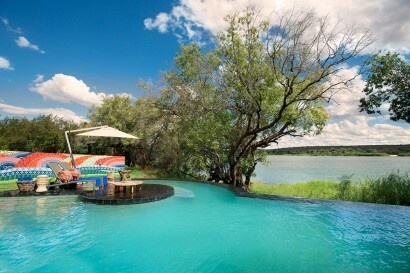 Watch crocodiles slip off the banks under water as you approach and listen to the snorting hippos. In the drier months, the skipper will anchor near “Ellie Corner”, where you can spot herds of elephants as they drink, play and bathe on the river’s edge nearby. Other game to be seen include baboon, impala, warthog and buffalo. Children of all ages welcome at our River Lodge. 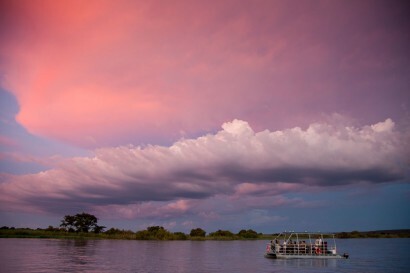 We have a Children’s Club – where the children will be engaged by a guide and teacher – to help them connect with the environment around them, and learn about life on the Zambezi. Lots of fun activities can be enjoyed! 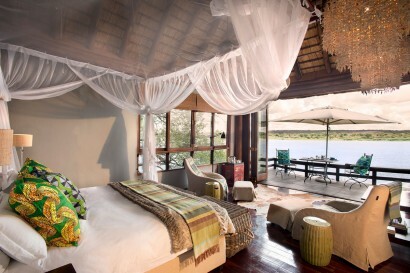 Spacious suites in two luxurious lodges blend colonial elegance and Zambian charm. River Lodge’s ten thatched suites overlook the unspoiled expanse of the Zambezi River and their private decks offer uninterrupted river views. 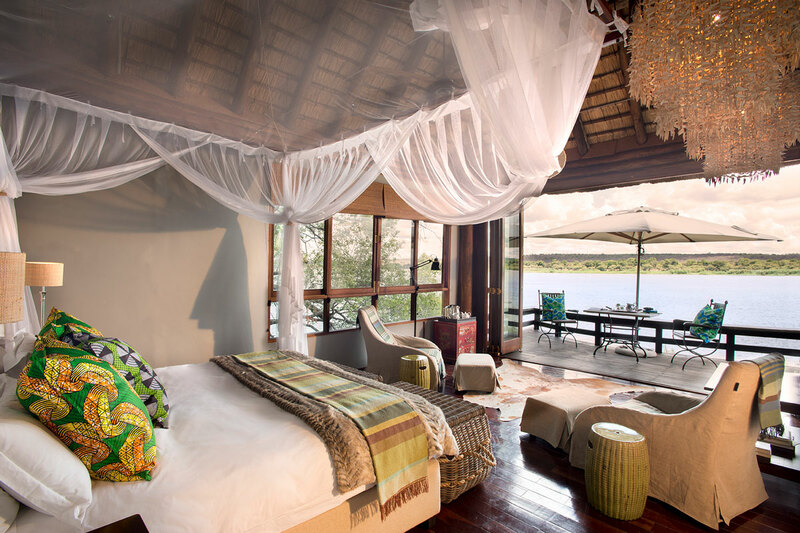 Tucked within the privacy and exclusivity of Katombora Island, the four villas at Island Lodge offer guests a tranquil, luxurious and exclusive getaway. 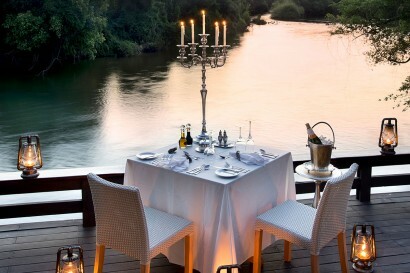 Absorb the pulse of the river from private decks and incredibly spacious rooms. Rates are full board or all-inclusive. The all-inclusive rate includes daily activities. There is a pool at both lodges. And a small fitness centre at River Lodge. We have a spa run by a local woman, using organic local products, and elements from the environment. 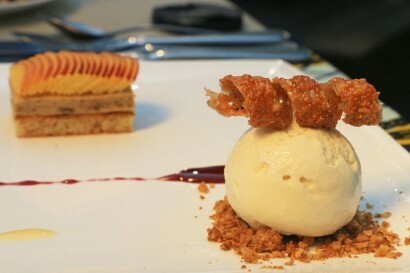 Treatments can be done in our sala, or in the rooms. 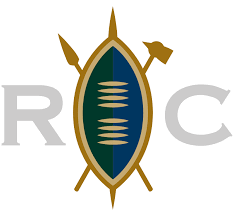 FISHING – Royal Chundu is renowned amongst the professional angling fraternity for its superb fly fishing and has become the venue of choice for the serious fisherman while o ering an exciting introduction for the novice. 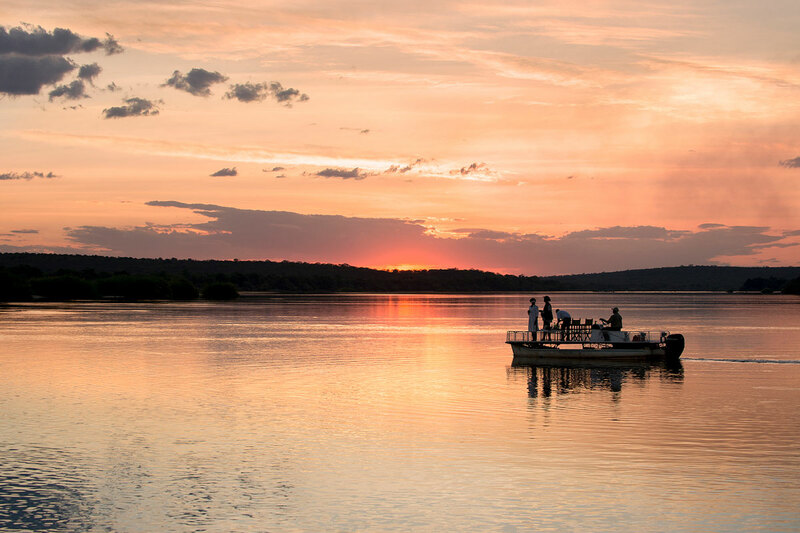 Our unstressed waters vary from virgin island eddies and shallow rapids to deep flowing channels which boast the notoriously powerful Tiger Fish, numerous species of Bream and the prized Upper Zambezi Yellow Fish. One of the biggest celebrations in Africa, the Parrot Fish Run runs from June to August. It sees millions of fish swimming for miles down the Zambezi as they get caught in the main stream. 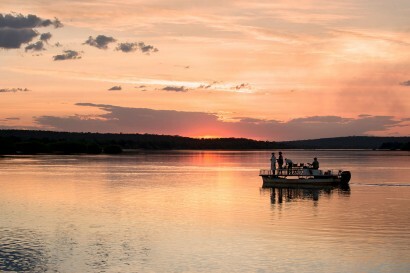 Royal Chundu hosts the event, letting guests take part by either spectating or trying to catch the likes of prized African Tiger Fish and Parrot Fish. Local fishermen get involved too, using hand-woven reed and palm tree leave baskets to catch the fish. 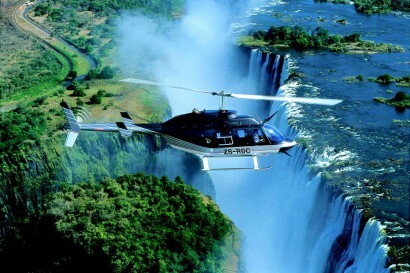 - An exhilarating trip, this adventure activity involves transfer by vehicle to the launch point near the Katombora rapids. The rapids are at their best when the river is low. Guides paddle guests over the rapids amidst stunning scenery and through the channels of the islands in the Zambezi. There is plenty of opportunity to enjoy the lush island vegetation and abundant bird life. - Experience the beauty of the river by idling along the Upper Zambezi. This trip is a combination of a 5hp motor to gently propel you along as well as a paddle to give you the canoeing experience. KATOMBORA ISLAND WALK – Marvel in the miracle of nature when you enjoy a guided walk through the 23 Baobabs, python creepers and 2,000yr old Jackalberry trees on our own private Katombora Island. Untouched by development and undamaged by animals, this area creates the most perfect ecosystem at play. Experienced guides will share their knowledge with the guests on some of the local uses for the flora found on the island. VILLAGE WALK & COMMUNITY TOUR – This village tour is highly recommended. The tour gives guests a rare opportunity of interacting with the villagers in a truly authentic environment where everyone continues with their daily activities. Your guide, who resides in the village, will be well versed on all the traditions and customs in the village and will be able to advise you on what plants and herbs are used for traditional medicine, making cooking oil, soap and other necessities. Those wishing to make a donation to the village fund can discuss this with the guide of the trip. The trip starts by journey in a Makoro (traditional canoe). Paddled by an experienced guide and then a walk around a village in the area, once the walk is finished you will return via Makoro back to the lodge. PICNICS – In homage to our family’s personal history on the Zambezi River, we o er picnics along the banks of the river just as our family had picnics in the past: Persian carpets, hammocks, Pimms upon arrival, picnic tables and sumptuous tapas lunches or breakfasts which will find you restoring your soul in a relaxed fashion while listening to the rapids of the mighty Zambezi coursing past you. Loll about in a hammock or lie back after your meal on the Persian carpets and soak up the magical surroundings. BRIDGE TOUR – Let us take you on a hundred year journey under the Victoria Falls Bridge. Discover Cecil John Rhodes plans for his Cape to Cairo Railway. Discover how the bridge was constructed and how a full locomotive was transported across the gorge before the actual completion of the bridge and why. Our highly trained and experienced guides will ensure a safe and informative 2 hours on and around the bridge.